The QuickVue Influenza Test detects Influenza type A and B viral antigens in three easy steps from a nasal swab or nasal aspirate/nasal wash specimen. 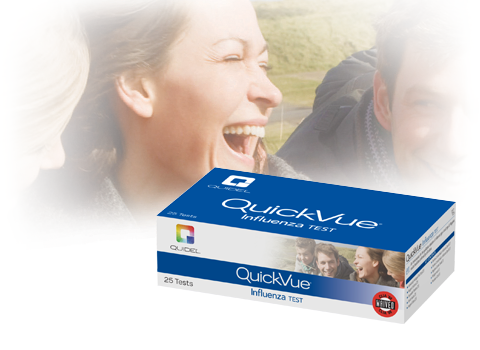 A single sample can be used to run both the QuickVue Influenza Test and QuickVue RSV Test. This video takes you on the journey of an influenza virus, how it is contracted, attacks, and ultimately departs from the cell of an infected person. Discover how easy it is to use QuickVue Influenza tests through this instructional training video.